Employers are required to issue correct paystubs. If your paystub is incorrect, you may be entitled to a $100.00 civil penalty for each paystub, after the first paystub that is wrong. 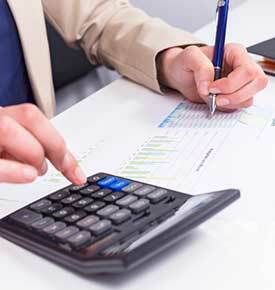 If the employee is paid on a piece-rate basis, the number of units they are paid for, and the piece rate. The number of hours on the paystub is wrong because it fails to account for all regular hours and overtime hours the employee worked. The paystub does not allow the employee to understand the amount they have been paid in commissions. Issues may exist elsewhere in documentation provided each pay period that is supposed to, or should, explain the rate of commission the employee is due or what sales they are being paid commissions on. The employer fails to put the legal name of the employer. Names of payroll companies may appear in error on the paystub, or there might not be any name of the employer. We have found that many paystub violation cases also involve other employer wage abuses. Chances are your employer violated other employee rights and labor laws if you have a case against them for paystub violations. 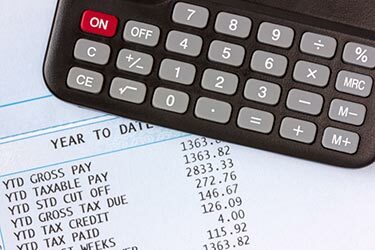 Fines are provided if there are errors on paystub itemizations because the affect of paystub violations is often to confuse, misrepresent, or gain advantage over the employee because the paystub does not readily distinguish the amount of gross or net wages the employee is being paid for, what deductions are being made, or who the employer is. All of these affects are gross labor abuses. California labor laws concerning paystub itemization errors do not pertain to the government. These provisions were enacted against private employers to safeguard against employee wage theft. FOR MORE INFORMATION ABOUT OVERTIME LAWS IN CALIFORNIA OR FLSA OVERTIME CLICK HERE. We take all wage theft, wage confusion, paystub error, and wage and hour cases on a contingency. This means we are not paid until we obtain monetary recovery on the case. We also advance all court costs. For a consultation about whether you should individually sue for unpaid wages or paystub errors, call our experienced California labor lawyers at 1-877-525-0700. In order to fully serve California employees, in Los Angeles County we have offices in downtown Los Angeles, Gardena, and Sherman Oaks. We also have offices in Tustin, Oxnard, Riverside, Bakersfield, San Diego. All of our cases are personally handled by firm founder, Karl Gerber, and one of our experienced firm labor attorneys.